A couple of weeks ago I discovered Joss & Main on one of my very favourite blogs, Lobster & Swan. It was perfect timing to find a new site featuring great design, beautifully curated and with some great prices, as we are looking for a few things for our new home and garden. 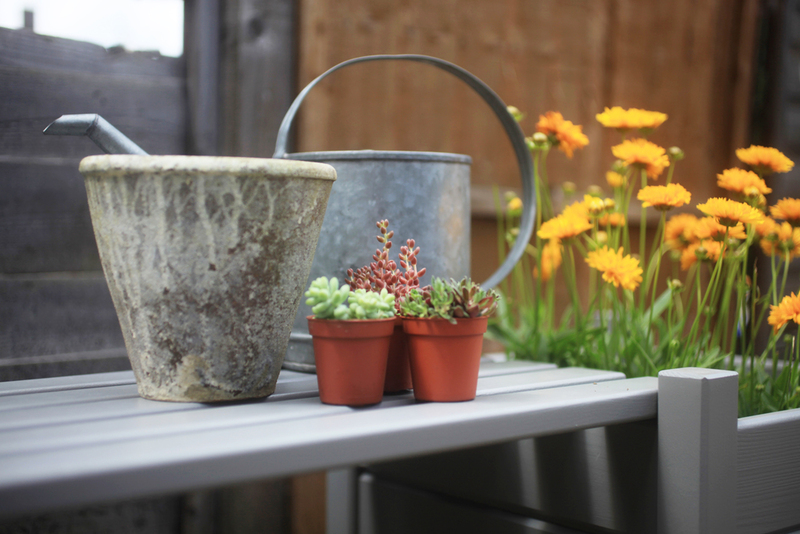 My first purchase for our new garden was this lovely grey bench with plant pots at each end. I can't wait to take it to our new home in a few weeks time but we are already enjoying sitting on it in the sunshine!